MCX Crude oil is seeing decline mode in the Indian market. But on the international market, crude oil is trading edge. U.S. non-farm payroll data last week showed lower than expected, due to the decline in crude oil had risen. MCX crude oil is currently 0.1 per cent, with slight weakness is trading around Rs 5,102. 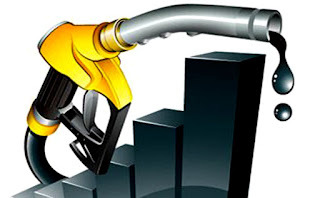 The NYMAX 0.25 per cent of the crude oil is trading at 93.2 dollar. Natural gas is in decline today. The natural gas price is above Rs 228. Natural gas has risen 4 percent last week. The Crude oil is in long- term bull phase .Currently Crude oil is moving sideways The oscillator is showing buy Signal . MCX Crude is resistance level 5157, and Supporting range 5067. Tips:- Day Trader Can Buy MCX Crude oil for April delivery at around 5,110 Targets 5125, 5140 Stop Loss 5080. Copper Calls:- Sell MCX Copper below 408 Targets 406.5 , 405 and Sl 411.